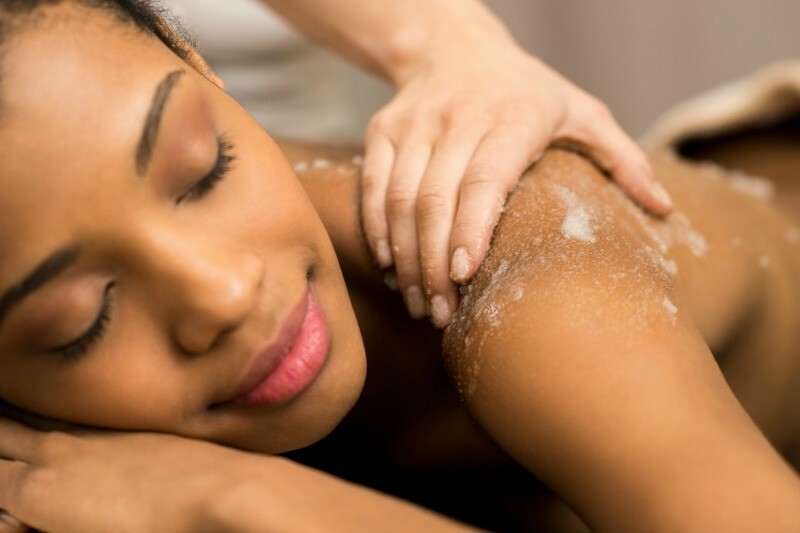 All body treatments, which include body wraps and polishes, begin with stimulating dry brushing followed by a body polish with our refreshing, antioxidant, blueberry sugar scrub. 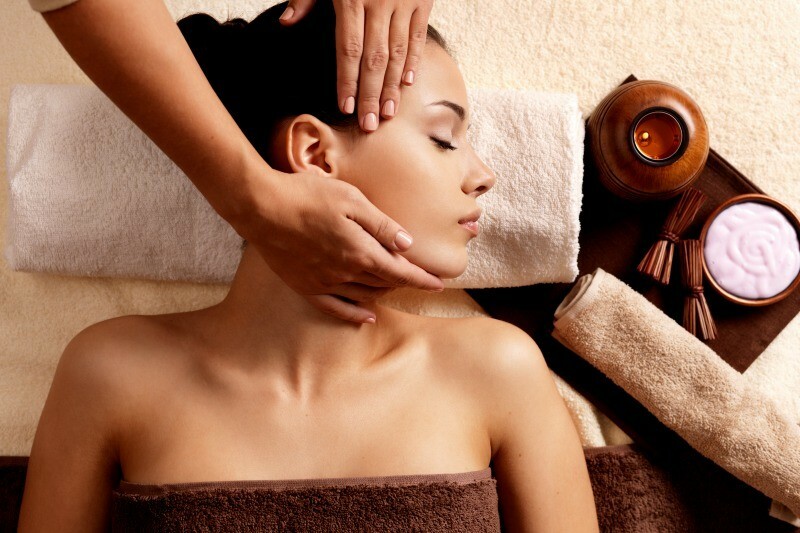 Depending on your goal of the body wrap or scrub, the therapist will then apply the personalized products using advanced massage techniques. Following the blissful massage application, you will be in a comfortably, warmed wrap for several minutes. Experience an invigorating peppermint scalp massage while the potent products revitalize your skin. Plan to arrive for your scheduled body treatment at least 15 minutes prior to your scheduled appointment so you can enjoy our relaxation room and luxurious lake views. You can read a book, take a walk or just enjoy the beautiful sunset over the lake (depending on what time your appointment is at). If you love your body treatment, which we are certain that you will, make sure to take advantage of our Spa Gift Card and give your special someone the gift of relaxation on their special day! This blueberry and soy slimming wrap will not only deeply hydrate your skin; it will stimulate blood flow creating a refined and toned look. Increase your skins elasticity with this regenerative anti cellulite wrap. The use of herbs and spices make this a highly active treatment. 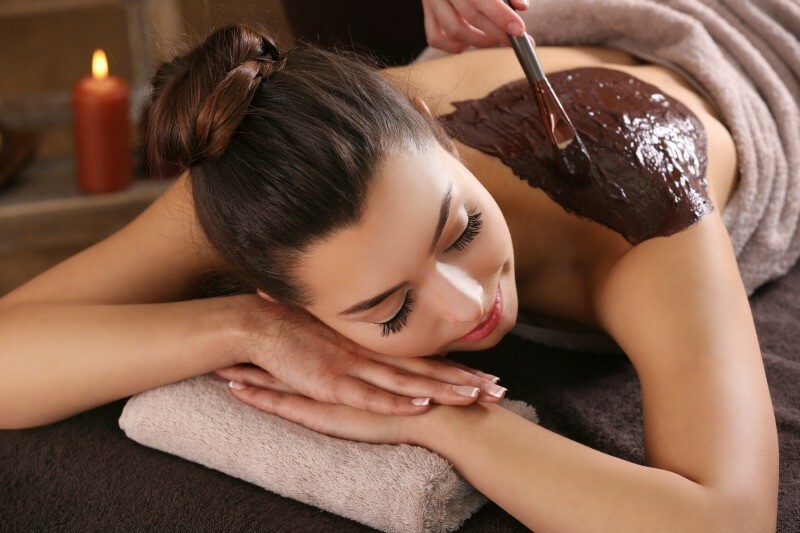 This treatment is rich with antioxidants derived from dark chocolate cocoa to prevent and correct obvious signs of aging. With active enzymes from vitamin rich mangos, your skin will be gently exfoliated and refreshed. 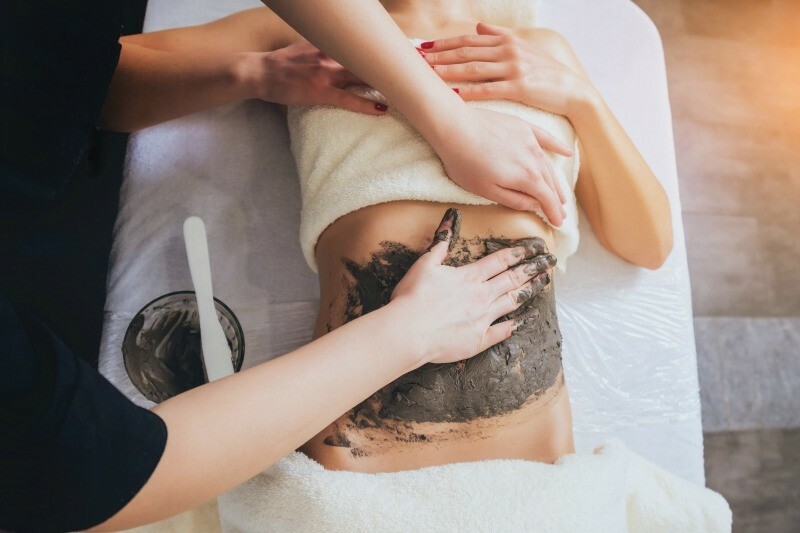 Detoxify and stimulate your body with Hungarian Herbal Mud. Best for blemish prone. 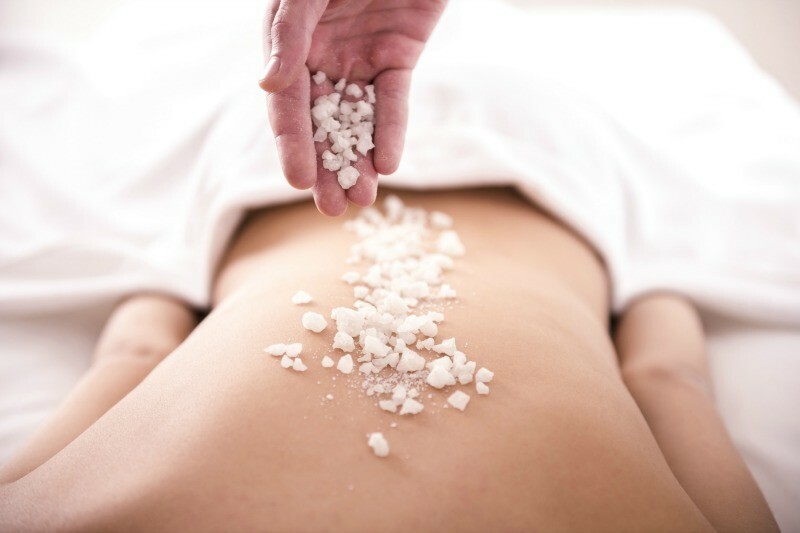 With this blissfully detoxifying back treatment, we approach the back like it is a face. Enjoy a cleansing scrub and a deeply exfoliating enzyme mask will be applied with the use of steam. While that takes place, you will experience our heavenly scalp massage. Extractions will then be preformed if necessary. Finishing with a balancing charcoal mask to draw out any remaining impurities and a thorough hydration. Your back will be smooth as ever and ready to show off! This combination treatment allows for treatment of the face and back. 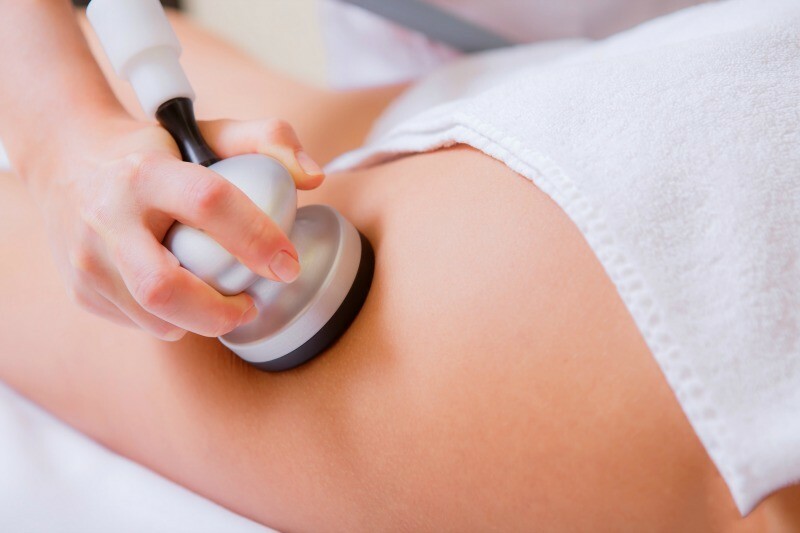 Using cleansing, exfoliating, hydrating and extractions this treatment is intended to create a smooth texture and delightful experience of two beautiful body parts in one treatment. Enjoy blemish free skin and new confidence to bare it all.